Gionee has launched its new phone of A series in India on Tuesday. Gionee A1 is not just an amazing Selfie phone, but its features will make you buy one. 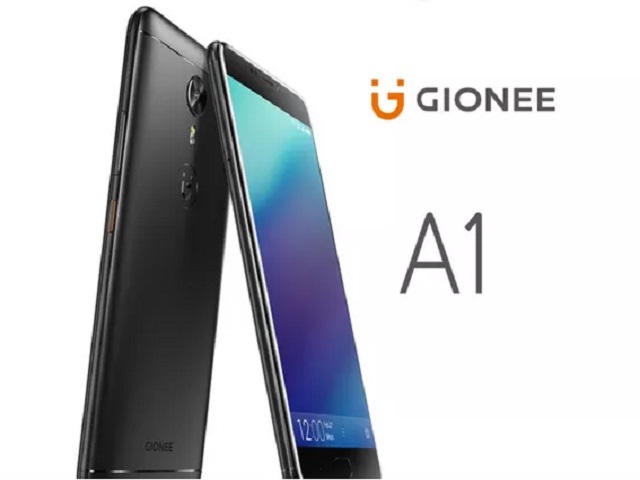 Gionee A1 has not only focused on crystal clear photos and long battery life, but it has focused on all the key features like display, processor, and connectivity. It is not only lightweight but also has a super sleek metallic body. Display- With a 5.5 inches display having AMOLED capacitive touchscreen and 1080 x 1920 pixels; Gorilla Glass display makes the phone is something to look out. Memory- Octacore processor and memory of card slot of 256 GB(used in 2 SIMs) and internal memory expandable up to 64 GB and 4GB RAM, you have more than ample space to store your photos and videos and whatever apps. Camera- A Front camera of 13 MP, f/2.0, phase detection autofocus, LED flash and Rear Camera consisting of 16 MP, f/2.0 and 1080p video streaming at 30fps, gives you a perfect choice for selfies, photos, and videos. Battery- A non-removable battery of 4010 mAh installed in Gionee A1. Also, an ultra fast charger with’18 Watt’ charger provided which charges the entire phone in 2 Hours. Price In India– Price of Gionee A1 is yet to be revealed by the gadget manufacturer but is expected to be around 24000-26000 INR.